Maasai tribe Rare Maasai leather bag. 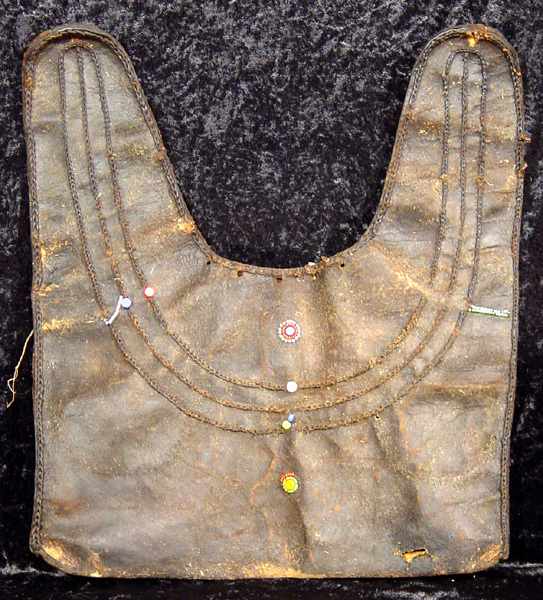 Hand made using traditional tools and leather thread, decorated with beads. Sometimes referred to as a "Donkey Bag"
$395 Click here for payment information and shipping quote using item #.